Bred by F.O. 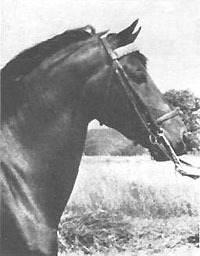 Davis of Windcrest Farm, Music Man is one of 8 illustrious full siblings who include Waseeka's Skylark, Waseeka's Killarney, Waseeka's Moonshot. Waseeka's Joy and Waseeka's Charm. Music Man, Skylark and Moonshot all took a turn at setting the record selling price for a Morgan. 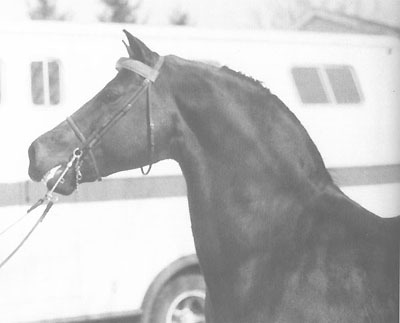 Music Man's promising show career was cut short by a cracked stifle but he shined as a sire, producing pretty, people-loving foals that were easy to train and live with. 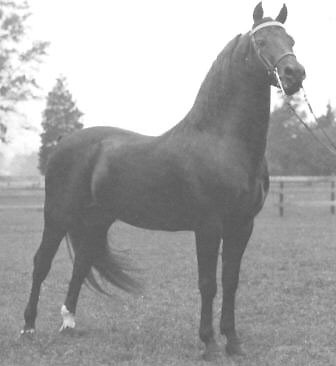 Music Man stood for 15 years in New Jersey, producing 136 of his 142 foals there. He has been credited with significantly upgrading the Morgan stock of the Mid Atlantic states. 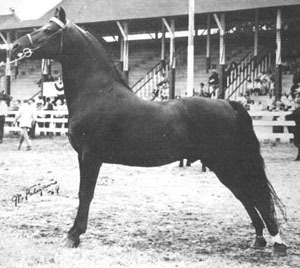 Among his illustrious get are Windy Hill Maestro, Windy Hill Willy (sire of Treble's Willy Wild), Windy Hill Colleen (dam of HVK Noble Wind) and Windy Hill Liebschen.